In 1815, France is on its knees after defeat at the battle of Waterloo. Jean Valjean is nearing the end of his sentence at the prison hulks in Toulon after serving 19 years for a petty crime, and is released by ambitious prison guard Javert. Javert has formed a deep personal hatred of Valjean, a resentment he will continue to bear. 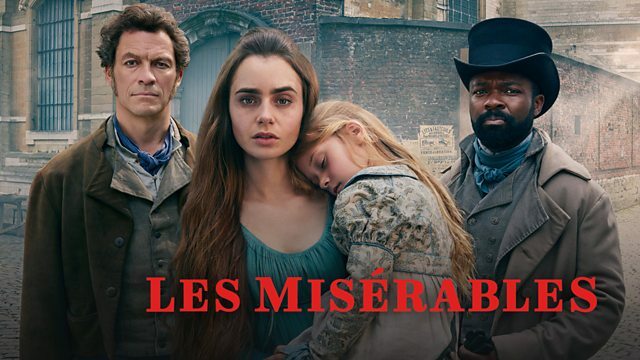 Life as an ex-convict is brutal and Valjean sees prejudice at every turn. Valjean is haunted by his past. An encounter with the wise bishop of Digne forces him to consider his own morality, and the kind of life he wishes to lead. Little Marius Pontmercy is being raised by his grandfather, old royalist Monsieur Gillenormand. Marius's father Baron Pontmercy, a colonel in Napoleon's army, is accidentally saved from death at Waterloo by a passing looter, Thénardier. Pontmercy confronts his father-in-law Gillenormand over his parental rights with tragic consequences. Meanwhile beautiful Parisian seamstress Fantine is taken out dancing by her friends. They meet some handsome bachelors, and Fantine is drawn to the charming Felix. Fantine's friends worry her naivety may prove dangerous.